Small business insurance in Naperville is essential to any business. If you have a small business, you should think about having an insurance policy to protect your business from any liability risk. If you own a small business, small business insurance Naperville can be of help to your business as a requisite for other transactions. Renters are required by their landlord to furnish a copy of their insurance certificate as proof that they can afford to pay for the rent or that they will not run away when facing financial trouble. Building coverage -The building where your business is located will get protection when it is razed by fire or damaged by calamities. Business property coverage -It covers office equipment, furniture and valuable that are found in your business premises in case they are stolen and lost. Worker’s compensation -As in the case of employees who got injured and lost their capability to work. Medical expenses -As for claims that a third party filed against your business because of injury or death within or off your business premises. Comprehensive liability -This policy covers claims for advertising and personal injuries, fire legal liability, errors and negligence. Protecting your business with small business insurance Naperville also includes coverage for your valuable records that are both software and hardware. Tell your insurance agent that you want a policy that will protect your business from economic losses due to computer breakdown where all files of your transactions are stored. Shutting down your business because of technology lapses can result in lost income. 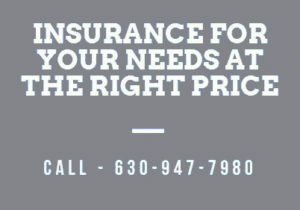 But with a small business insurance Naperville, there is no doubt that your business gets the best protection coverage. Getting ready to buy your policy? Why not call us for a free quote (630) 947-7980!